EMMA – Wawasee’s bats came alive Saturday in a big way. Trailing failing to score in the first two innings, Wawasee exploded for 17 runs to stun Westview, 17-7, in the softball season opener for both teams. 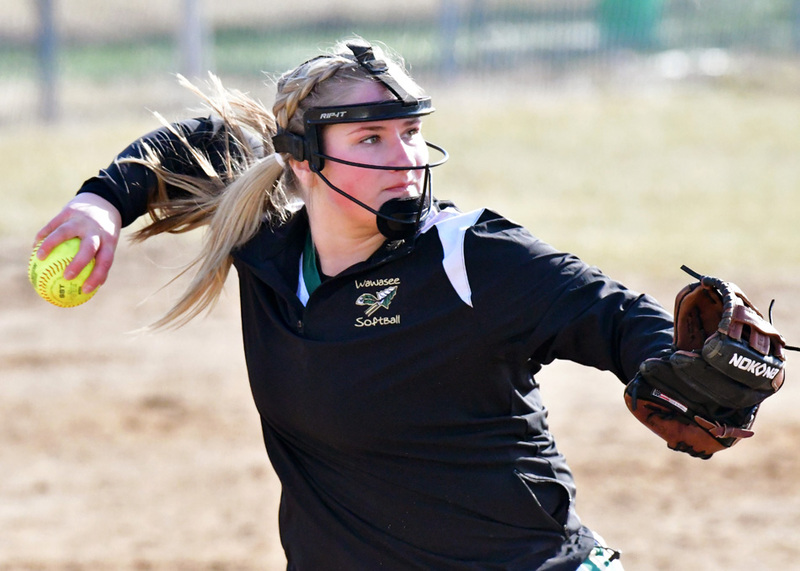 Wawasee took advantage of some shaky Westview pitching in a breakthrough third inning, using a walk, hit by pitch and a pair of wild pitches to start its carousel, then had Bethany Flannery rip a two-run homer as part of a six-run frame. Wawasee added two runs each in the fourth and fifth innings, Ava Rush hitting her first homer of the season in the fifth, and then piled up seven runs in the sixth to build a 17-6 lead. Faith Swihart had a two-run double and Danielle Jenkins had a two-run triple in the sixth to blow the game open. Rush finished the game with four hits, three runs and three RBI while Olivia Stuck and Casey Drake both had three hits. Kiaundra Olson scored four runs after drawing three walks and a hit-by-pitch. Wawasee was hit by a pitch five times, drew seven walks and had 17 hits in the contest. Flannery got the win in relief of Olson for Wawasee. Olson was touched up for six runs on five hits and three walks before Flannery entered the circle in the second. Flannery gave up just one run the rest of the way, allowing six hits in total. Alexis Antal took the loss for Westview, giving up 11 runs. Wawasee (1-0) will play Lakeland today in its home opener at 5 p.m.